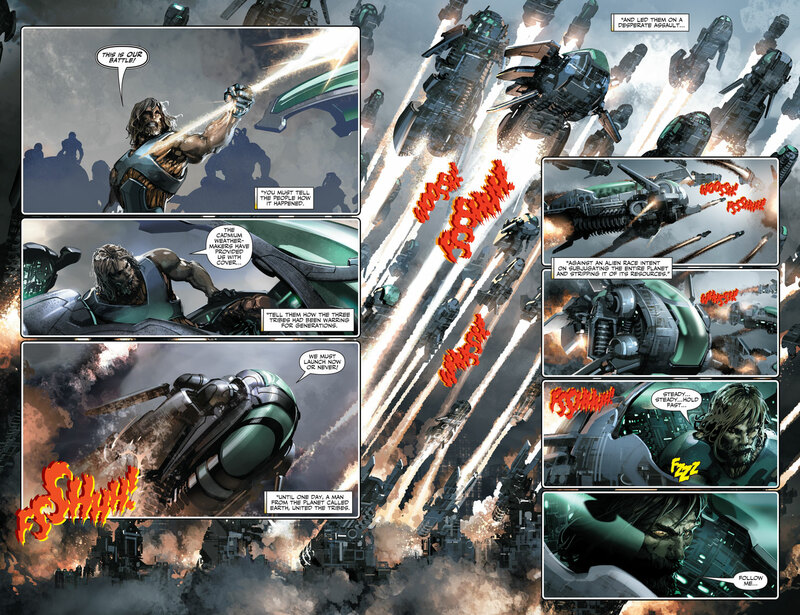 The Year’s Breakout Independent Comics Sensation Strikes Again with a Blistering New Jumping-On Point! As revealed at Multiversity Comics, Valiant is proud to present your first lettered look inside X-O MANOWAR (2017) #7 – the FIRST ISSUE of AN ALL-NEW JUMPING–ON POINT for the chart-topping, cosmic epic that has rocked the Valiant Universe to its core! 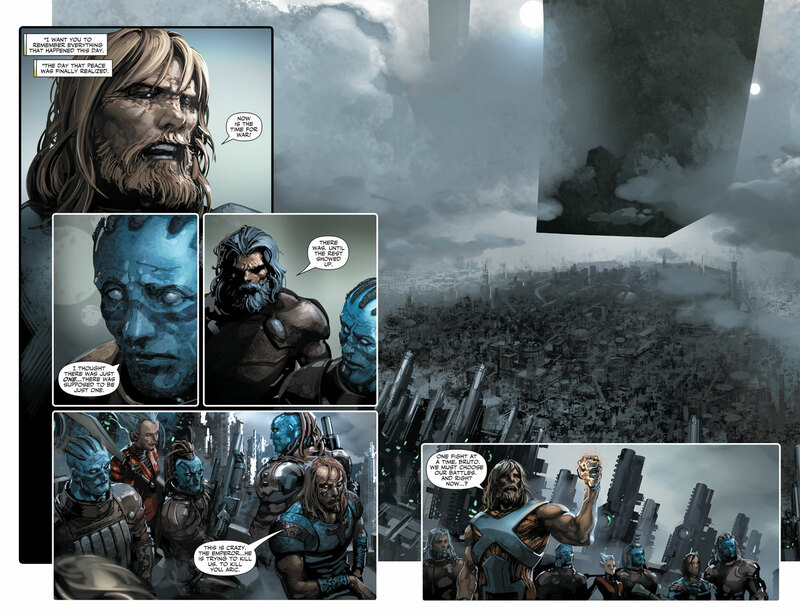 On September 27th, New York Times best-selling writer Matt Kindt (ETERNITY, Mind MGMT) takes up arms alongside superstar artist Clayton Crain (RAI, Carnage)…and sends Aric of Dacia to his hard-fought place on the throne of the embattled world of Gorin! 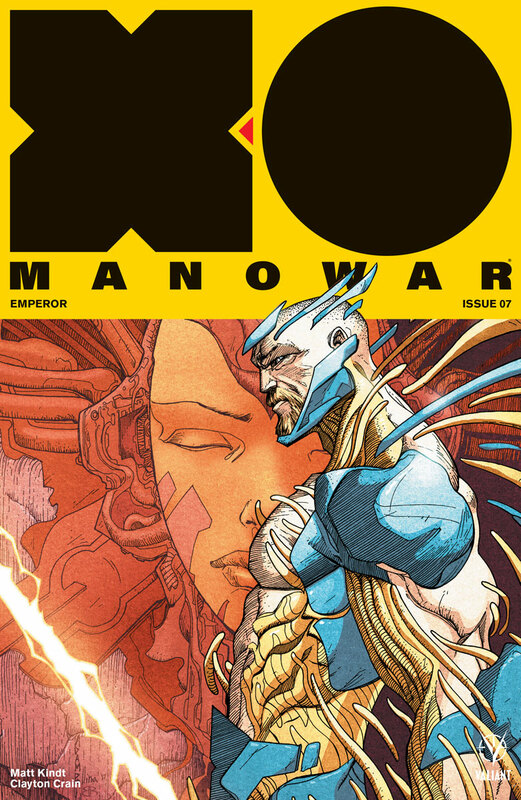 With a kingdom to claim and reign to begin, the warrior known as X-O Manowar plans to lead his people into a new era…until a monolithic threat from the stars forces him back into the line of battle! 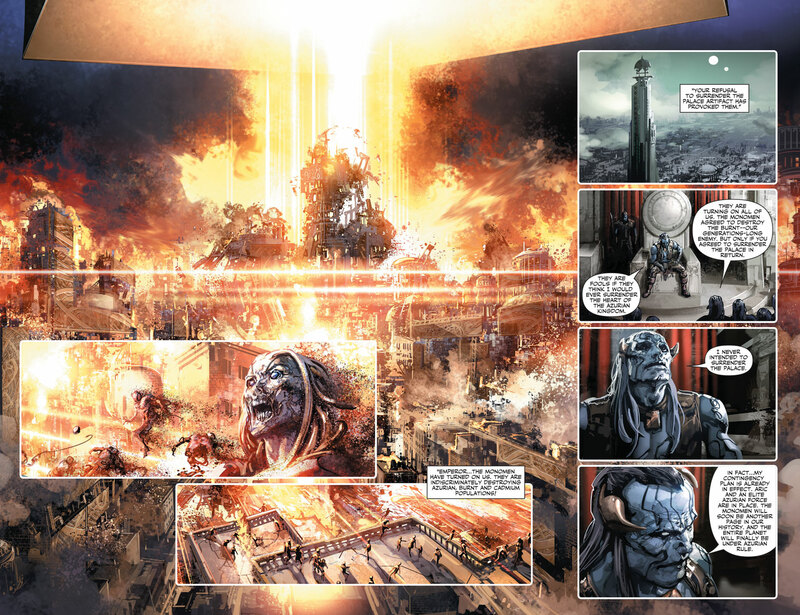 The ultimate turning point! A war has been won, a victory has been decided…and, now, an entire alien world kneels before the throne of their new leader: the unstoppable X-O MANOWAR! 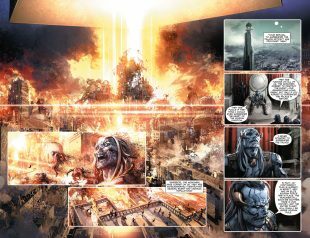 He has traded his armor for a crown and a new age now begins…even as an extraterrestrial invader readies an interplanetary attack that could pull Aric of Dacia from the newfound safety of his imperial palace and back into the blood-sodden battlefields where his conquest began. 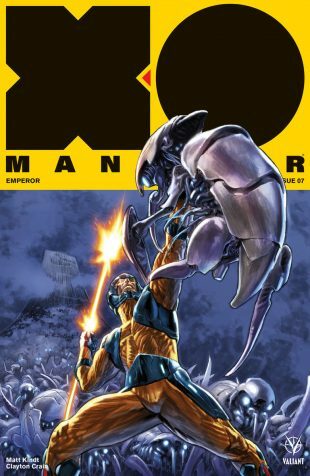 This September, Matt Kindt and Clayton Crain – the best-selling creative team of RAI and 4001 A.D. – reunite to stage the next epic act in the ultimate X-O Manowar tale ever told! In the sold-out wake of “SOLDIER” and “GENERAL,” Valiant proudly presents “EMPEROR” – a blistering new beginning for the boldest interplanetary epic in comics today! The conquest continues on September 27th, only in X-O MANOWAR (2017) #7 – featuring covers by Lewis LaRosa (BLOODSHOT SALVATION), Adam Pollina (X-Force), Juan Jose Ryp (BRITANNIA), and Ben Templesmith (30 Days of Night)! PLUS: Also arriving in stores alongside X-O MANOWAR (2017) #7 on September 27th, get the full story behind Aric of Dacia’s crushing cosmic crusade with the X-O MANOWAR (2017) VOL. 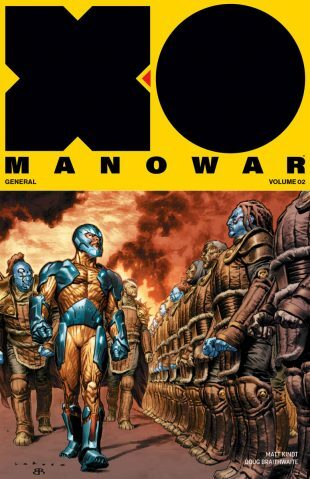 2: GENERAL trade paperback collection – collecting the stunning wartime epic by New York Times best-selling writer Matt Kindt (NINJAK) and blockbuster artist Doug Braithwaite (ARMOR HUNTERS, Justice) for just $9.99!